Few people have blasted the imagination-draining place that is the Internet quite so bluntly as the late author Ray Bradbury. At the time, in the eye of the Great Recession, Bradbury, who is perhaps best known for his novel Fahrenheit 451, was carting around California, speaking out to save the state’s cash-starved public libraries. Libraries, he said, “raised” him. 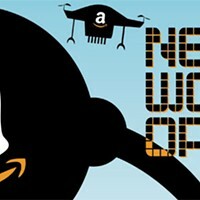 If Bradbury were alive today, it’s reasonable to imagine that his name would be front and center in the current dispute that book publishers are having with Amazon.com, the online retail giant that the world’s consumers cannot stop using. The consequences of Americans’ rabid and rapid migration to Internet marketplaces over the past decade is largely visible in the wasteland of brick & mortar and mom & pop shops that have been plowed under in Amazon’s wake. The battle of real stuff in real stores sold by real people against Amazon.com rages in Salt Lake City, too. Once, independent book stores, music stores and video rental joints seemed the most threatened by the tentacles of Amazon; now, all consumer products can be bought online (often without sales tax and with free shipping), making vulnerable any store that sells anything. There is, however, hope, some local store owners say: the generation of young people not quite at the drinking age that has grown up entirely in an Internet era where songs can be bought for under buck and every slice of music they’ve ever heard is stored and accessed on glowing devices no larger than the palms of their hands. This generation is discovering that the service, interactions and expertise found at local stores cannot be duplicated by an evening hunched over a glowing computer screen, clicking and spending away. 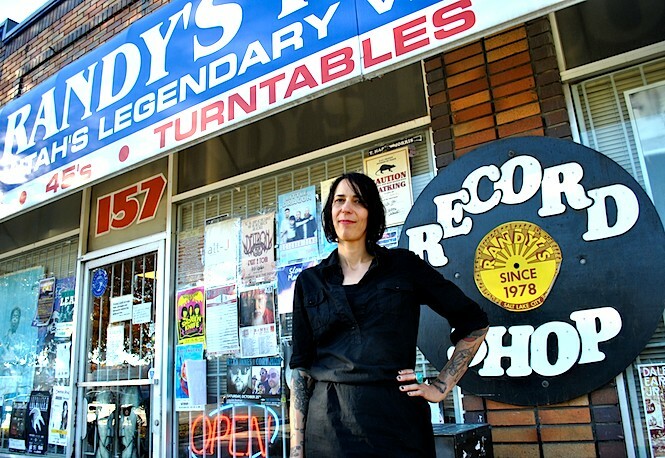 At Randy’s Record Shop on 900 South, business is better than it has ever been. At The Tower Theatre—very likely the only place in the Salt Lake Valley where videos can still be rented from a fellow human—people are still passionately checking out films. And at Weller Book Works in Trolley Square, the smell of aging pulp fills the air, shelves heavy with books. Perhaps no other industry has been harder hit by the Internet than video-rental stores. Even corporate chains like Blockbuster and Hollywood Video crumbled beneath the phenomena of Netflix and online streaming. Besides the Tower Theatre, which offers a robust selection of independent and mainstream films for rent, Wheatley cannot definitively say if another video rental store exists along the Wasatch Front. And the Tower, he says, likely would not still offer rentals if it weren’t for the theater’s association with the Salt Lake Film Society and the Broadway Centre Cinemas. “I don’t think that’s a business model that can really exist anymore without some supplementary income,” Wheatley says, adding that the rental program at the Tower is more of a “community service” than a viable business. Randy’s Record Shop has weathered its fair share of storms over the decades. The biggest, however—at least so far—has not been the Internet. Chris Copelin, a manager at Randy’s, says it was the compact disc in the 1990s that gave Randy’s its largest scare. Through that storm, Randy’s stayed true to vinyl—a decision that was based largely on the stubborn idea that vinyl is simply the best way to listen to music. Randy’s dedication to vinyl proved fortuitous, and insulated the shop when the Internet wave hit. Since Copelin began working at Randy’s four years ago, she says, business has tripled, due to a swift resurgence in vinyl-record sales that is hardly unique to Utah. Vinyl-record lovers swear by the medium’s quality analogue sound. But there is, perhaps, an undertone in the revival of vinyl that has been birthed by the sterile nature of Internet music consumption. Local stores also provide jobs to local people—a very real barometer of a store’s impact on the local economy. Tony Weller, owner of Weller Book Works, hasn’t seen a revival as sharp as Randy’s has. The 60 employees his business demanded in the 1990s have been pruned to 13. 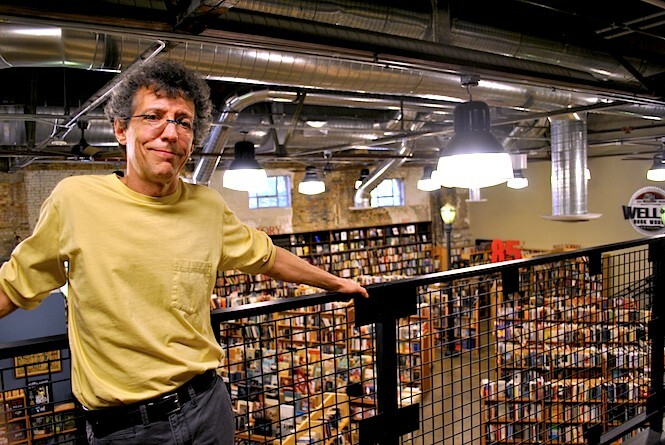 At the bookstore’s former location in the 200 block of Main Street, Weller survived the flight of people and businesses from downtown, the proliferation of shopping malls in the 1980s, rises in parking prices, chain stores like Barnes & Noble and the now dead Borders and, at last, the Internet. Though the store is still alive and kicking, Weller says it’s important that people don’t take for granted the great local stores and the dedicated and knowledgeable employees that work inside. Weller says his current quiver of employees has an average of 17 years each in the book industry—experience no number of reviews on Amazon can replace. Copelin’s decision to work in a record store might be emblematic of an ethic that people who witness the mediums they love disappearing could, and perhaps should, possess.